TemplateMonster is biggest theme maker out there with more than 25k unique designs. 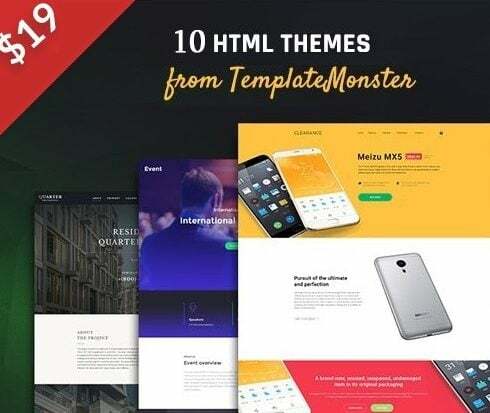 TemplateMonster proudly presents HTML Business Bundle– 10 HTML templates for all kinds of business. Probably you have realized, this year, web templates are pretty much everywhere. Even major players tend to set up their websites with these trendy products. That being said, what is web template and why do you might need to have it? To begin with, site template is a number of layouts, modules, and user interface elements. Each of the pages a template consists of are pre-built and properly featured. What is more, these ready-to-create solutions are adaptable, meaning that it is easy to customize each page, each individual color scheme, and each pixel without trouble. Talking about the quality website templates, they are free of code as well. As a result, a user receives their web project right out of the box without typing a single line of computer code. Moreover, the product includes all of the essential features and the trendy web design components all at once. What’s more, opening the pack of a professionally developed web template, a user will find there premium plugins. And these are just for starters! Truthfully talking, such solutions are exclusive due to a built-in editor that enables you to adjust the web pages up to your branding or personal preference. For anyone who is in need of a painless way to set up an up-to-date website, here is what you need! What Is The Price of Website Themes ? On average, a Website template with a single site license will be priced at about sixty dollars. Needless to say, the final cost always depends on the feature, UI elements, and extensions that are in the product’s pack. In regards to multipurpose WP designs, each one will cost you $90 or higher. Despite the fact that these prices sound quite fair, you can spend less on purchasing a WordPress design. You may wonder how? For these simple reasons, take a closer look at latest bundles. Today, item bundling is a widespread practice, so a lot of famous suppliers start offering their products in bundles. So what’s bundle? In a word, item bundling suggests providing several items for sale. Along with it, bundle is a package deal that contains several (or multiple) various items created for one purpose. For example, if you are going to set up an online project, there are digital bundles that already include items like templates, web typography, premium plugins, high-quality images, etc. One more noticeable good thing about selecting bundle is its price tag. Essentially, bundle costs like a few objects it includes. For this reason some people may think that as opposed to the cost of other products and services the price tag seems questionable. What’s the secret? Basically, bundle is at all times a short time offer which explains why it’s so cheap! The Reason Why It’s Best To Buy Templates Bundles? Basically, choosing a bundle can be a time saver. On top of that, it is certainly comfortable for web developers considering they will get all the necessary products just out of the box! Consequently, you won’t have to spend your time on searching for each and every piece one by one. With such essentials, you will easily develop the needed web project. If perhaps you didn’t see the needed goods inside this bundle, make sure you go to the gallery, seeing as there are lots of other bundles. For example, you can choose from such things as CrocoBlock bundle, high quality WP bundles, or mega bundles. Moreover, MasterBundles collection also contains bundles with UI elements, textures, fonts, mockups, presentations, illustrations, and vectors. 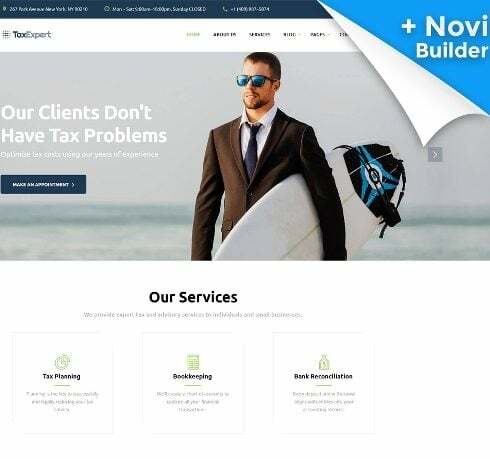 As the title of the organization states, MasterBundles is a modern day online resource that provides various premium digital goods for website owners. Browsing the collection of the company, you will notice many products that come in a bundle. As a result, it is easy to build the site of your dream without running out of the budget. Additionally, you will save money without sacrificing the quality of your website! Plus, MB offers their clients to take advantage of unique discount coupons. Make sure you use them to get a discount! You can save up to 30%! MasterBundles has an interactive blog, which may be helpful for anybody who likes to be aware of current information about digital solutions, the latest tendencies, etc. On top of that, MB crew publish all the new discounts in the blog, so don’t miss out! There’s a simple subscription form in the footer of the page. Make sure you insert your email address and be the first to learn about future discounts and special deals.